When talking about nuclear weapons it is important to put the issue in perspective. Russia retains a relatively large arsenal, but no other country is capable of deploying more than a few hundred nuclear warheads. A single Ohio-class submarine can carry up to 192, this is enough for one submarine to "make its point and bring earth to its knees." Today nine countries have a total of over 15,000 nuclear weapons the U.S. and Russia together have over 14,700 of them. An important matter is far too many are actively deployed on missiles, bombers, and submarines, ready to launch at a moment's notice. It is rather ironic to ponder how much we have spent to create and now maintain this massive force of devastating potential that we hang over the heads of others, a force that could kill them many times over but also render the planet unlivable for generations for everyone. Many people appear to have become desensitized to human misery because of modern society's rather impersonal and continuous act of viewing anguish and death on a screen. Couple this with the hundreds of millions of people across the world playing violent video games and watching explosion after explosion in movies and it is little wonder fear of mass devastation has lessened. As noted earlier in this piece with so many nuclear weapons technical failures can and do occur, we are at constant risk and human error exacerbates the problem. This situation we live with every day and give little thought could suddenly explode and take over our lives. The nuclear deterrent we hold is a hundred times larger than needed to stop anyone sane or rational from attacking America, and for anyone else, an arsenal of any size will be insufficient. [In 1995] President Boris Yeltsin was informed that a nuclear missile was speeding towards the heart of Russia. Russian nuclear forces, already on a hair-trigger alert, were put on even higher alert, ready to launch at his command. The fate of the planet hung in the balance as hundreds of millions of people were going about their daily lives. Yeltsin wisely waited. And within those fateful moments, the Russians were able to declare a false alarm. An unimaginable nuclear disaster had barely been avoided. It is no secret that at the dawn of the nuclear age, the United States hoped to maintain a monopoly on this new weapon, but the secrets and the technology for making nuclear weapons soon spread. Four years after the United States conducted its first nuclear test explosion on July 1945 and dropped atomic bombs on the cities of Hiroshima and Nagasaki in August 1945, the Soviet Union conducted its first nuclear test explosion. The United Kingdom (1952), France (1960), and China (1964) followed. In an effort to prevent the nuclear weapon ranks from expanding further, the United States and other countries negotiated the nuclear Nonproliferation Treaty (NPT) in 1968 and the Comprehensive Nuclear Test Ban Treaty (CTBT) in 1996. As a result or since the inception of the NPT, several states have abandoned nuclear weapons programs, but others have defied the treaty. India, Israel, and Pakistan never signed the treaty and now possess nuclear arsenals. 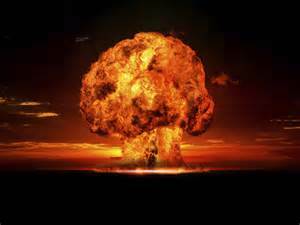 Iraq initiated a secret nuclear program under Saddam Hussein before the 1991 Persian Gulf War. North Korea announced its withdrawal from the NPT in January 2003 and has tested nuclear devices since that time. The countries of Iran and Libya have pursued secret nuclear activities in violation of the treaty’s terms. Today the use of nuclear power is fairly widespread, but only nine countries have nuclear weapons and only a few others are suspected of pursuing them. The topic of these weapons quickly feeds into questions of where they play into the future of mankind and thoughts of the devastation they might wreak if they are ever used in a war. It is very likely that at some point in time the tiger will be unleashed and the potential of a dreadful result is very high. 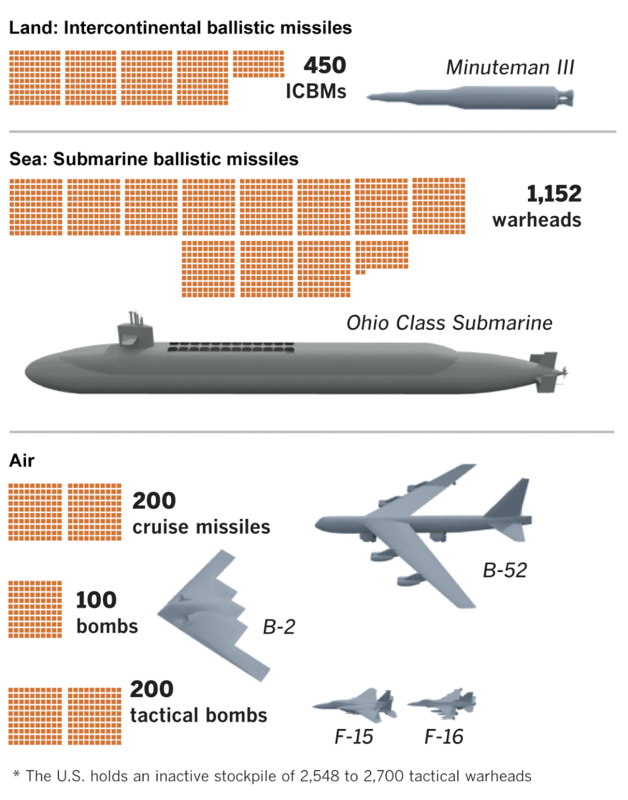 A large part of the nuclear weapons debate revolves around how many weapons are enough. Another is the cost of funding existing weapons and the upgrading of America's nuclear triad, this is a very costly investment. 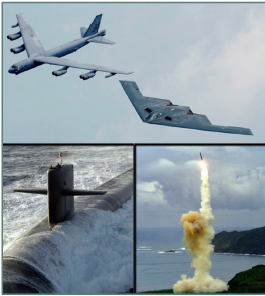 The nuclear triad refers to the nuclear weapons delivery of a strategic nuclear arsenal which consists of three components, traditionally strategic bombers, intercontinental ballistic missiles (ICBMs), and submarine-launched ballistic missiles (SLBMs). Cato Institute!s Chris Preble has written that the Navy’s plan to build twelve next-generation subs has quickly begun to eat away at the Navy’s overall shipbuilding budget. Recent projections place the total cost of this program at between $93 and $100 billion. “The reliance on three nuclear delivery systems is a relic of Cold War bureaucratic politics, not the product of strategic calculation,” he writes. The Pentagon should look elsewhere within the nuclear arsenal for the money it needs. Eliminating the other two legs of the nuclear triad is his suggestion. Doing away with intercontinental ballistic missiles, or ICBMs and nuclear bombers would save American taxpayers around $20 billion a year that could be put toward replacing the Ohio-class sub. He also claims the sea leg of the nuclear triad by itself is a more powerful deterrent than that possessed by nearly any other nation in the world. The ballistic missile nuclear submarines known today as SSBN(X) or Ohio Replacement Submarines have a price tag that rivals the cost of America's new umpteen-billion-dollar Gerald R. Ford-class aircraft carrier. The Navy says it only needs 12 of the new vessels to do the work of 14 Ohio-class boomers and they will cost less to maintain. This means long-term savings but the up-front costs could be a deal breaker. According to the Congressional Budget Office, the very first SSBN(X) built before economies of scale kick in could set taxpayers back by as much as $13 billion. That's roughly equivalent to the Navy's entire annual shipbuilding budget today and as mentioned it is close to the price of a full-size Ford-class carrier before adding in another $5 billion spent on research and development. Unfortunately, over the last decade, it appears ten, twenty, or even a hundred billion dollars is not what it use to be and the cost is not enough to keep Washington from appropriating the money to enhance our ability to deliver these weapons. Like many people, I do not find what is known as the concept of Mutual Assured Destruction, or MAD to be reassuring. As a bit of a history buff, I found myself in deep discussion with a curious young lad of nine. While explaining to him how the airplane developed which included a rather important timetable, I noted that its development was pushed forward because planes could be used as a weapon in wartime. To my surprise, I found he expanded the conversation to include the nuclear bomb and this young lad had a general acceptance of its use. This could indicate people are losing some of the massive fear they had for the use of nuclear weapons. Fear was the "firewall" that kept these weapons from ever being used for many of us growing up during the cold war. Call me silly, but I would feel a lot more comfortable if a lot of these weapons were dismantled and destroyed. When Buy The Dip Becomes, "Sell the Rally"